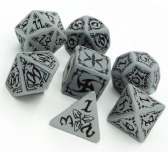 The set of these antiques have been found deep under ground. 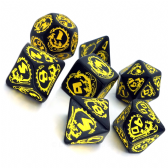 These dice remembers the beginnings of the dwarven race and whole story of Quentin the inventive. The time left its mark on them, as they no longer have their original white color. 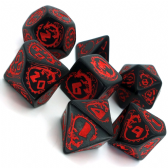 These dice are filled with Dwarven knowledge and strength. 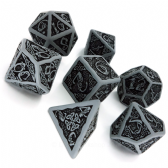 Do not wait, get them ! 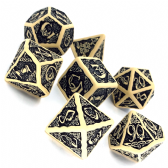 Dice readable as never before ! 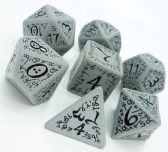 Classic rpg dice, made with our latest technology, at the price point for every pocket. 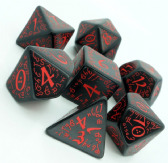 Dice made with use of our elven font, simple but depth at the same time. 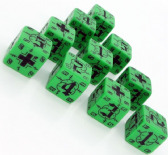 Dice readable as never before. 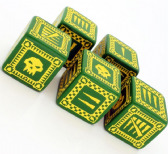 A set of Dwarven dice lost by Quentin the inventive in the iron mine. 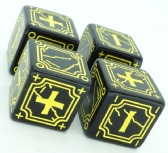 These dice holds the pure energy of dwarven race. 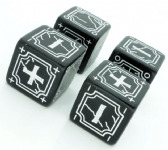 Dwarf who has used these dice was able to crush the stones with bare hands. Do you want to sharply increase your strength ? 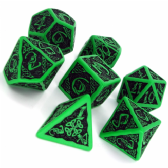 These artifacts will certainly do so. 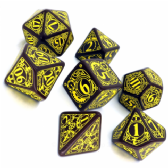 Dice readable as never before ! What happens when a machine producing storm clouds over northern Scotland is overloaded...? We don't know it exactly. But we do know two things: first, you would not want to be around. 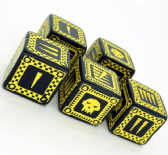 Secondly, that's the way our metal steampunk dice are created! Howdy, Partner! 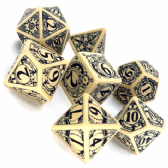 Inside this pack you'll find all the dice you need - plus an additional six'er for the hootin', hollerin', sidewindin' Wild Die. 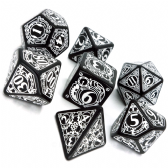 The paint on these high-quality bones has been tampered to withstand the harshest conditions, from howlin' desert winds to all-night gaming marathons. 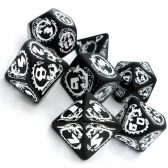 So roll these bones, amigo, and take your chances with us here in the Deadlands!